A friend relayed a story to me which I want to re-tell. He was walking in a park in the early evening. He had taken a little-used narrow path high above the beaten trail when he saw a large brown pit-bull dash across the path ahead of him. There was no owner around. Within seconds my friend could see that the dog was chasing a coyote. And within seconds of that, the pit-bull whizzed by him again in the other direction, this time followed by a second coyote: the dog was being warded off by the coyote pack leader which was protecting the chased coyote. It is important to know that this is how alpha coyote’s react: they are protective of their pack members. But the story didn’t end here. My friend later descended to the path below where he saw the dog, now leashed, and its owner heading out of the park. And following them from 50 feet behind were the two coyotes: they were assuring themselves that the dog was leaving the park. After the dog was gone, the coyotes ran up to the hillside and cavorted playfully. My friend thought that the coyotes might as well have been celebrating and “thumbing their noses” at the departing dog which had disturbed them. Amusing though it might seem, contests of this sort are the basis for future antagonistic relations between dogs and coyotes. We can prevent these from ever occurring in the first place by keeping our dogs restrained in the parks which we know have coyotes. Even if the dog is kept leashed and no longer chases, the coyotes have now become alerted to this particular dog: he has been tagged as a threat. And the dog has become alerted to the coyotes as something fun to chase — he will now continually look for them: each side will want to play out the contest. 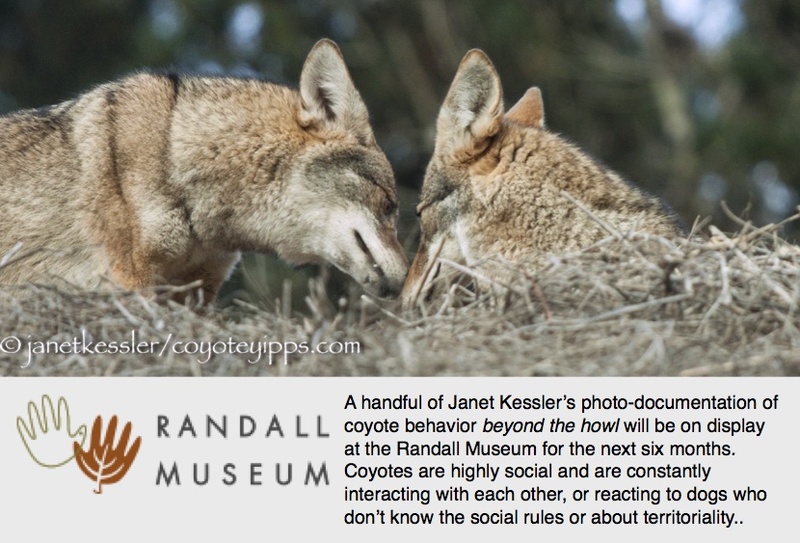 Both the dog and the coyotes will feel tension if they see each other for some time to come.